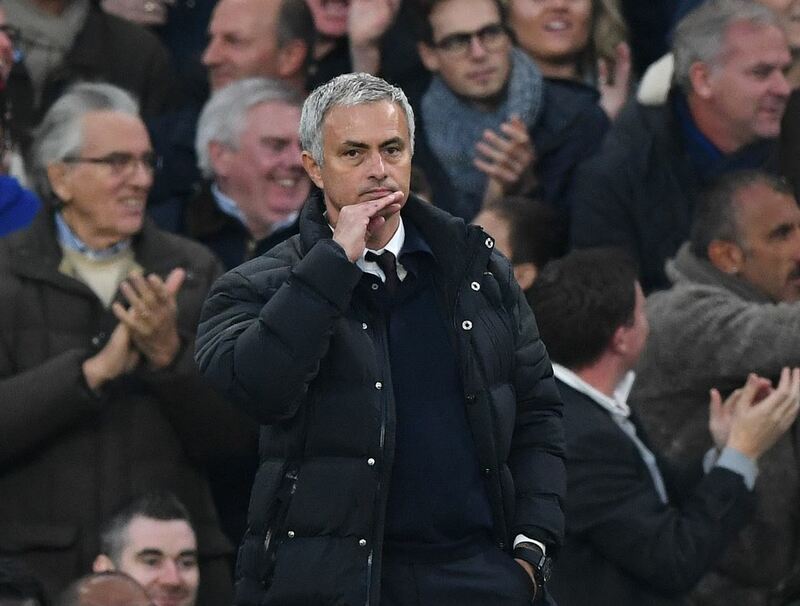 José Mourinho's Manchester United were ripped apart by a clinical Chelsea as the Portugese manager was humiliated on his return to Stamford Bridge. 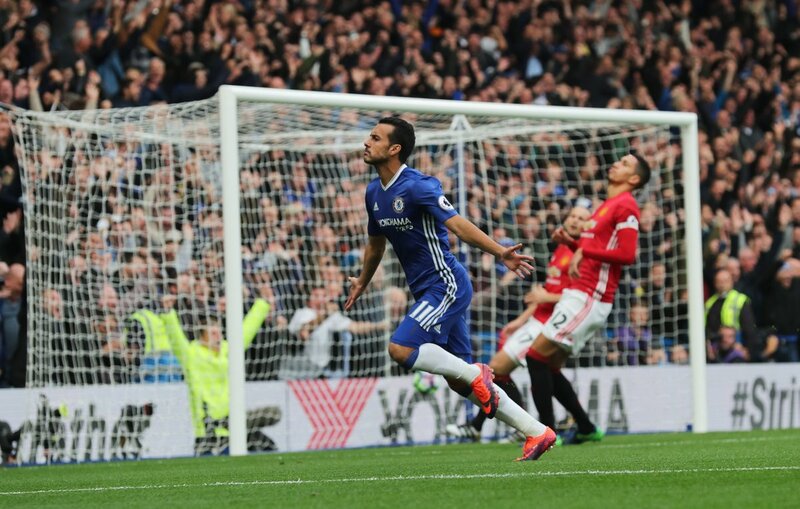 It took a paltry 30 seconds for the Blues to break through, as Pedro capitalised on some poor defending to knock it past de Gea. Gary Cahil put his side two up before the break, blazing in as the ball fortunately fell to him from a deflected corner kick. 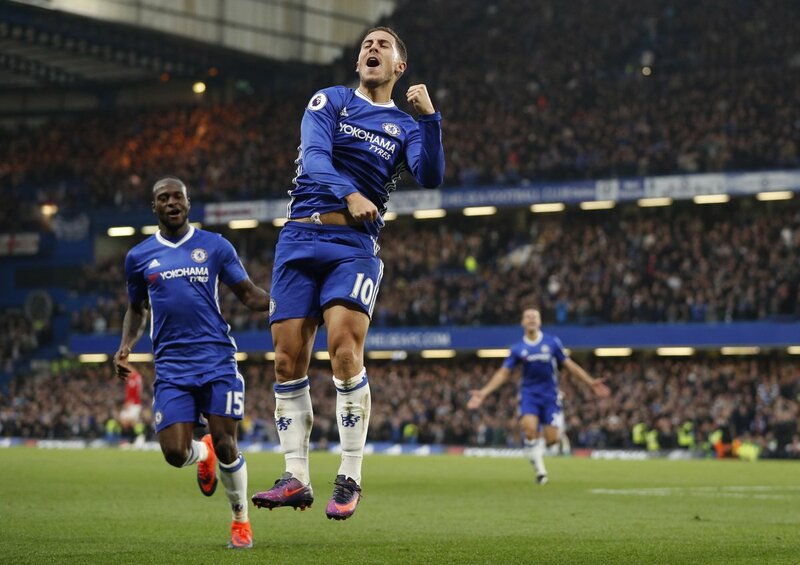 Eden Hazard was then rewarded after the hour mark for a fine performance by grabbing his team's third goal, engineering some space in the box to find the corner. 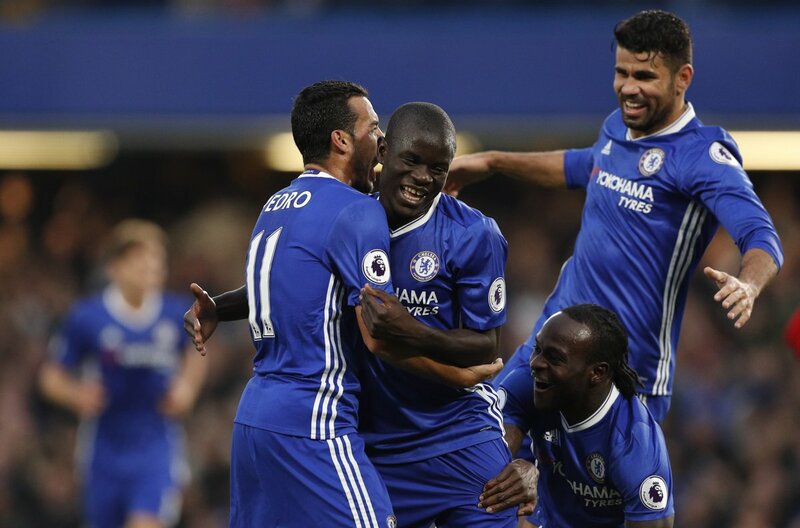 Capping off the rout was N'Golo Kante, who cultivated a surprise individual goal to apply the ultimate exclamation mark on the performance, while José Mourinho was reduced to a mere mortal. A twist in the tale would occur a mere half-minute from kick-off, as Chelsea stunned their opposition with a goal from Pedro. The Spaniard got on the end of Alonso's searching ball, beating Smalling and Blind who were all over the place before knocking it past a de Gea who came surging off his line, and wrapping it round into the net. José Mourinho watched on, bemused on the sidelines, barely able to have taken his seat before his former team flipped the script. Tensions could have been relieved had Zlatan Ibrahimović targeted his header a little lower in the aftermath of the opener, towering high to meet the cross in a dangerous position but unable to restore the game for the Red Devils. Nonetheless, it was an adequate response from the visitors, even if they did look vulnerable anytime Chelsea got near the attacking half. Still looking sharp, a cut-throat home side were looking capable of ending the game at any point. Eden Hazard could have done so when a smart corner move rolled kindly on to his boot, firing slightly wide of the right post. Pedro and Costa were just a few good passes shy of adding to the lead, meanwhile, with the searing counter attack raising heart rates for the travelling support. Soon enough, Chelsea would get their second goal. It again came at the hands of pedestrian-like defending on the part of their opponents, with a deflection from a corner making all the difference. 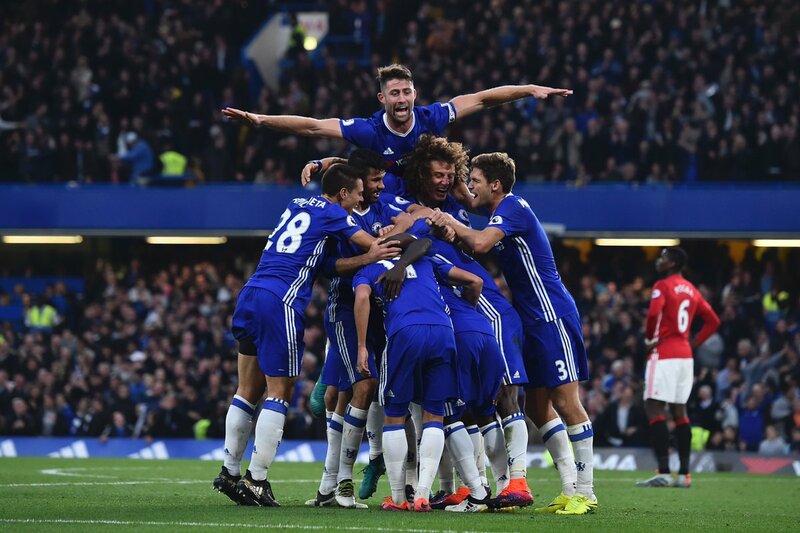 The ball came bouncing in the path of Gary Cahill, who needed no second invitation to blast it into goal and compound the misery for United. 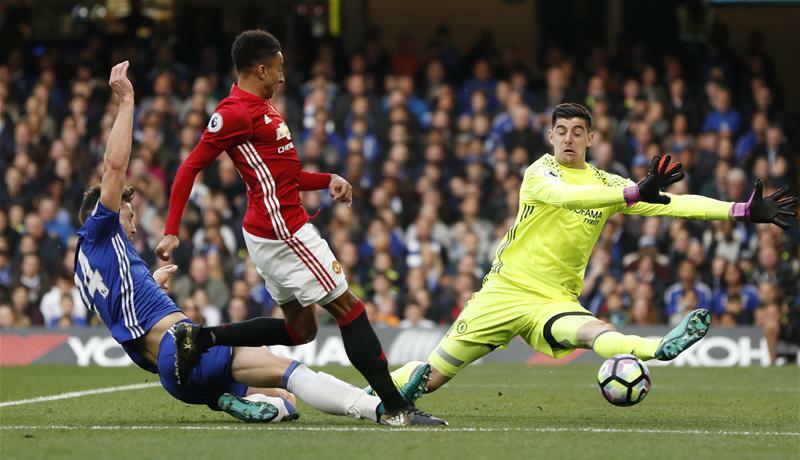 Chelsea subtly teased a third before the half was out, while Manchester United showed dim glimmers of hope which were fizzled out by a solid save from Thibaut Courtois, sprawling to deny Lingard after a parry at the near post. The complexion of the game may have drastically changed though had David Luiz received ample punishment for a dangerous challenge on Fellaini. His studs were showing as he landed high on his fellow eccentrically-haired player, getting away with a booking from Martin Atkinson. Diego Costa registered one last chance before the interval, where he was blocked while shooting on the turn, but regardless Chelsea finished with a suffocating stronghold over their opponents, the great Mourinho, the Special One, looking not so special this time round. The hosts' star striker had the ball in the net a couple of minutes into the second half, but it was well offside as he accepted. Martin Atkinson, the most integral part of the refereeing staff, had plenty more work to do with Bailly flying into Hazard, and other frustrated challenges as the red-clad side left their mark on the superior team. 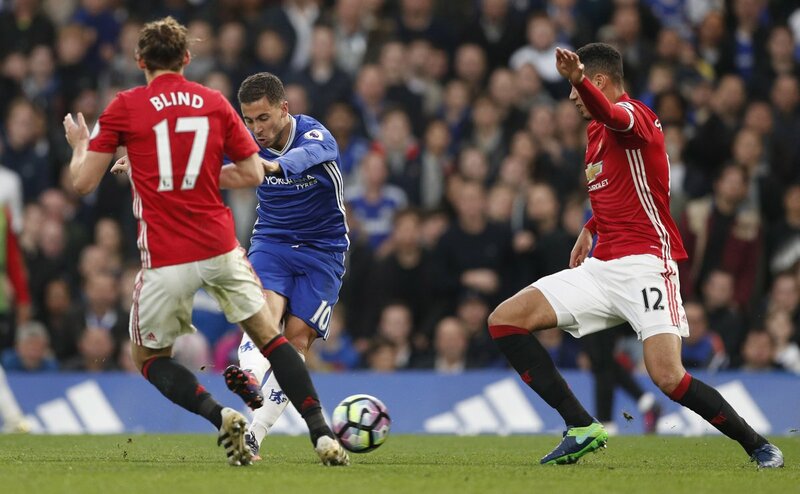 Just as it appeared that Manchester United had managed to quell the momentum of the 2014/15 champions, Eden Hazard produced a delightful third to truly wrap it up. He started the move - by running it down the left and feeding Kante - and finished it, with the exclamation mark being a great turn to take out Smalling, drilling it to the far right corner past a helpless David de Gea. A cluster of substitutions and fouls filled large chunks of the second half, until a fourth goal came which really propelled the scoreline into that of devastation. N'Golo Kanté, the more unlikely of goalscorers, ended up netting a goal which further embarrassed his opponents with an essence of individuality. Pedro set him up, where he then dummied and beat Smalling, slotting it past the keeper for his first Chelsea goal. An acrobatic attempt from Ibrahimović was far from enough to steal Courtois of the clean sheet, and no matter how many attempts, the Blues just maintained their focus. Instead, Antonio Conte played cheerleader, rallying the fans to celebrate a dominant win, while tearing the former Blues manager to absolute shreds.